With today's emphasis on fast-moving technology and the focus on testing standards for science and math, the need for students to grasp key scientific principles has never been greater. The Kingfisher Science Encyclopedia, 3rd edition is the one reference that includes all of the information students need to know in a concise and trustworthy package. Fully revised and updated, with clear, accessible writing by scientific experts and plenty of illustration for visual learners, this volume provides in-depth insight and succinct authoritative answers to all areas of scientific inquiry-avoiding the need to hunt and peck for information across multiple sources. An impressive supplementary section at the end of the book includes mini-biographies of famous scientists, and an illustrated time line of key inventions and discoveries. 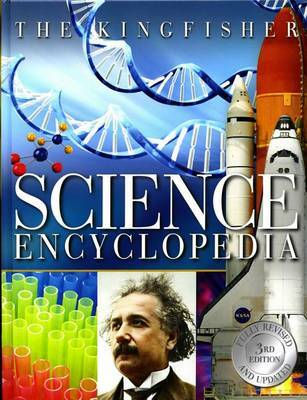 Arranged thematically into ten subjects, with reference summaries for each chapter and a full index, this encyclopedia does more than merely provide facts-it helps the reader develop an integrated, hands-on understanding of the science which drives everything around us.